When was the last time you had a good vegan jambalaya? For me, it had been a long time! This dish was inspired by an ancient grain that has recently been rediscovered called "freekeh." 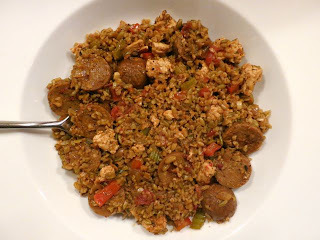 In this dish, I mixed freekeh along with vegan chicken, vegan sausage, and vegetables to create a spicy culinary delight! 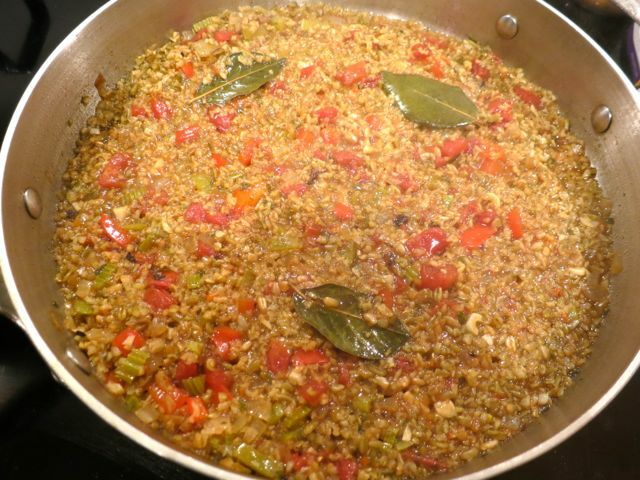 What is freekeh? 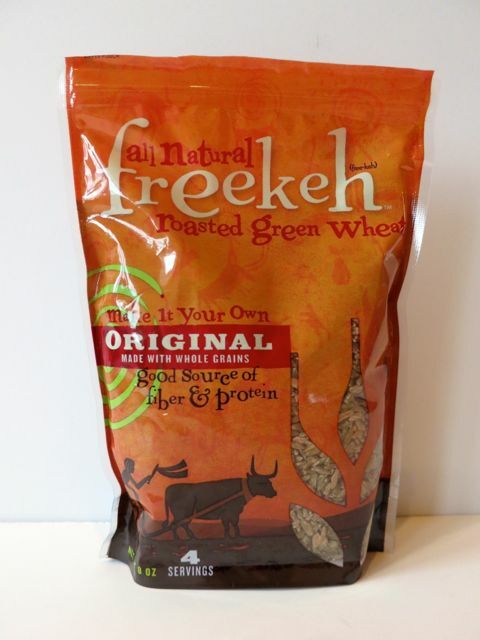 Freekeh is a nutty tasting roasted green wheat grain that was discovered 2,000 years ago in a Middle Eastern village. It is high in protein and is a great source of manganese. For me, I just love trying new grains! 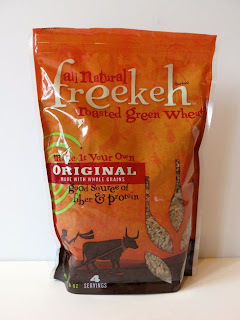 Freekeh Foods-brand freekeh comes in three flavors. For this dish, I used the original flavor as I added a lot of spice to this dish. I mixed it with Gardein Chick'n Scallopini, Tofurky Italian Sausage, and vegetables. 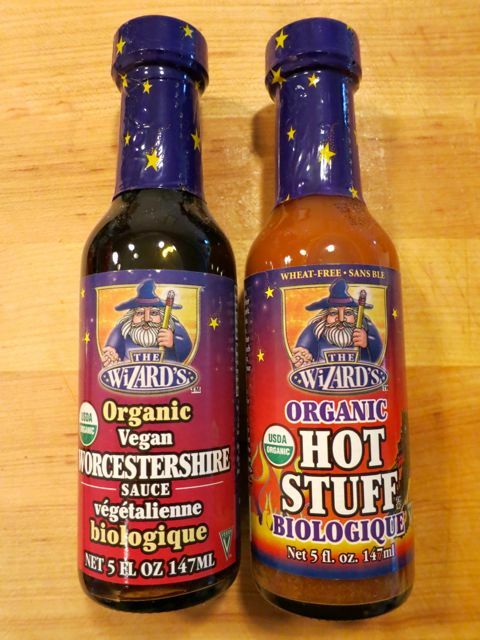 And in the sauce, I used some of my favorite products including The Organic Gourmet vegetable stock, The Wizard's Organic Vegan Worcestershire Sauce (say that 7x straight), and The Wizard's Organic Hot Stuff. 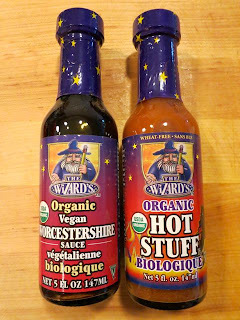 I love that hot sauce. It isn't that hot, but it has enough of a kick and a great flavor that adds a lot to this dish. 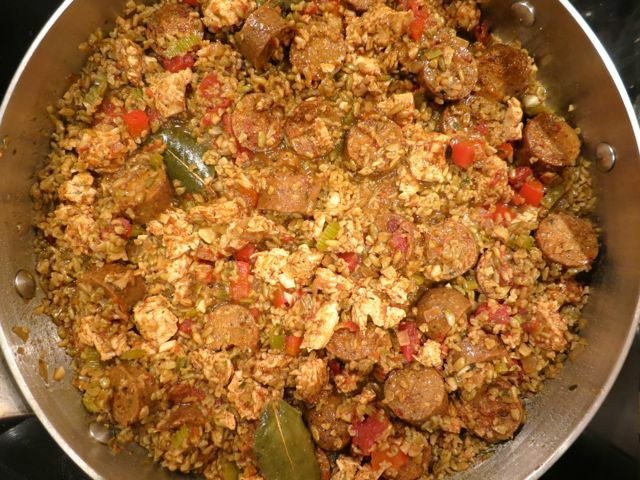 In a small bowl, combine the vegan chicken and sausage along with 2 Tbsp of Creole seasoning and work the seasoning into the faux meat so it coats it. Set aside. In a large saute pan, heat oil over medium heat and add onion, pepper, and celery and cook for 2 minutes. Add garlic, tomatoes, bay leaves, Worcestershire, and hot sauce. 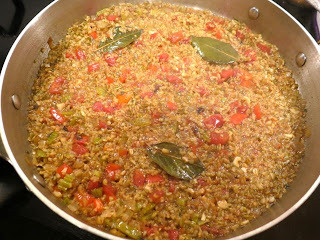 Then, stir in the Freekeh and slowly add vegetable stock. Cook for 10 minutes. Then cover and cook until rice absorbs liquid and becomes tender, stirring occasionally, for another 10 minutes. 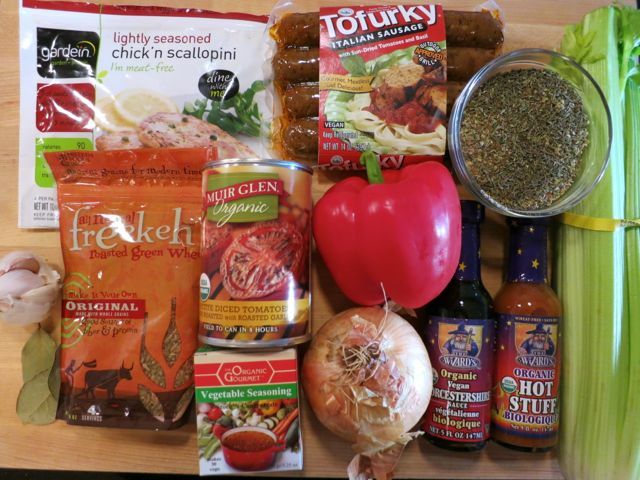 Then add the vegan chicken and sausage and cook for 5 minutes more. Season with more Creole seasoning, if desired. 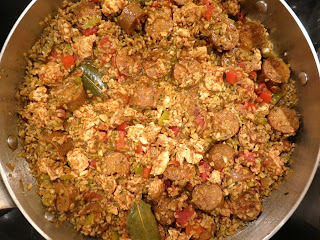 my family is from louisiana, and i LOVE jambalaya....try using field roast sausages and beyond meat chicken.... it's absolutely the best. Sounds great! I love those products too!